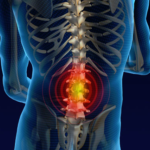 A herniated disc can be very painful and reduce your quality of life. While some people have no symptoms from a herniated spinal disc, others experience chronic, severe pain that makes it difficult to perform basic tasks. While traditional medicine focuses on narcotics, muscle relaxers, and prescription nerve pain medication to treat a herniated disc, these medications have serious side effects and the risk of dependency. They also fail to target the cause of the pain, instead treating the symptom of the condition. Chiropractic care is a safe, natural and drug-free treatment option to restore correct spinal alignment and relieve pressure on bulging discs and nerves. The spine is made of up vertebrae joined by facet joints. Between vertebrae are fluid-filled cushions of cartilage known as discs. These discs help protect your spine, maintain the correct amount of space between vertebrae, and absorb impact. When this spinal structure is out of alignment, vertebrae can be forced out of their place and cause a disc to herniate or bulge. Spinal discs resemble jelly with a soft center covered by a harder exterior. A herniated disc occurs when some of the softer center is pushed through a crack in the exterior, typically by misaligned or slipped vertebrae. Herniated discs can put pressure on nerves. These pinched nerves can cause pain that ranges in intensity and frequency as well as weakness, numbness, or a tingling sensation in the limbs. Some people do not experience any symptoms from a herniated disc, although the condition can worsen even if there are no symptoms. Herniated or bulging discs may occur in the cervical (neck), thoracic (upper) or lumbar (lower) portion of the spine, although they are most common in the lower back which bears most of the force and weight every day. Herniated discs are usually the result of gradual wear and tear on the discs (disc degeneration) due to aging, as the discs naturally lose moisture and become more prone to rupturing with age. 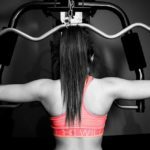 Disc herniation can also be the result of lifting heavy objects with the back instead of the legs, twisting or turning while lifting, or an accident. A chiropractor will begin your initial appointment by reviewing your medical history, completing a physical exam, and performing neurological and orthopedic tests. Your chiropractor will be checking if your reflexes are intact, whether there is a loss of muscle strength, and whether you have a loss of sensation. Your entire spine will be evaluated, no matter where you feel the pain, from your neck to your lower back. This is because what happens to one section of the spine can influence other areas of the spine and body. A personalized treatment plan will be developed that may include spinal adjustments and therapeutic massage. Your treatment plan will be based on several factors such as your overall health, your level of pain, how much activity you get each week, and which treatments your chiropractor thinks will offer the most benefit. This common chiropractic treatment involves the use of a specially designed table that gently and carefully distracts (stretches) the spine. The chiropractor can then isolate the affected area of your spine while gently flexing the spine with a pumping rhythm. 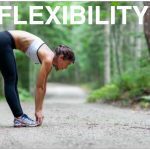 Flexion distraction is typically painless as it uses gentle movements rather than force to help the center of the disc resume its normal position. This chiropractic technique also helps the disc move away from any nerve it may be pinching to reduce inflammation and relieve pain. Flexion distraction is generally done in a series of treatments and it may be combined with other techniques like physiotherapy and muscle stimulation. Pelvic blocking treatments can also improve herniated disc symptoms. This treatment involves the use of a cushion wedge on either side of the pelvis combined with gentle exercises to draw the disc away from the nerve and back to its correct position. Your chiropractic treatment plan will also include self-management tips and education to help you control and stop the pain with correct posture. Chiropractic techniques can also be combined with other treatment options, including lifestyle changes, ice and heat therapy, and medication, when necessary. In most cases, herniated discs can be successfully treated using non-invasive techniques like chiropractic care to alleviate pain without surgery. Your progress will be carefully monitored by your chiropractor to ensure your treatments are having the desired effect. If you are dealing with herniated disc pain, a chiropractor can help you get relief and prevent further damage. Chiropractic care is typically done in a series of treatments using low-force and pain-free techniques.